So technically my "series" on deliberate living is over but as I was writing the five installments I was inspired by a few more things about our lifestyle that fits neatly into my philosophy. I want to talk about how this life has allowed me to build new relationships in a way that my old life didn't offer. I know this sounds a bit isolationist but I don't believe that is the case. Looking at Thoreau's own life we can see that he was very dependent on others to make his lifestyle work. In fact, in the chapter titled "Visitors" he describes how he keeps chairs ready for people who might drop by. However, noticing the limitations in his tiny house he moves his gathering spot to an area out in the forest. He mentions that he has more visitors at his house in the woods than he ever did when he lived in town. He offers them hospitality in the form of conversation rather than food or drink and they still keep coming to enjoy these discussions. He feels that these guests don't interrupt his solitude but rather help broaden it. They give him a new perspective and way of thinking. Before we even moved into our tiny house we realized the importance of making relationships. Friends helping us build the tiny house. We quickly developed bonds with our mountain neighbors. There were more than a few things we couldn't have done without their help. 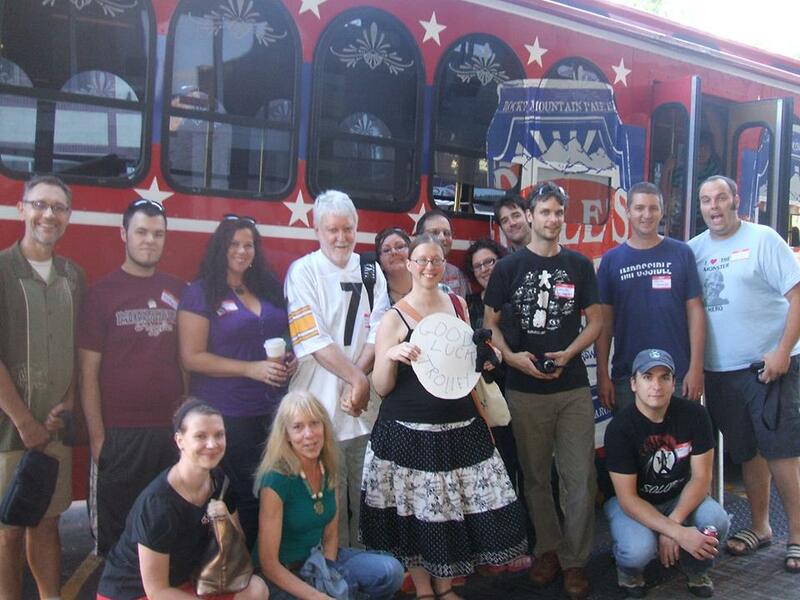 It was also important to us that we get involved with the greater Asheville community. Living in 120 Square Feet forced us to get outside and make connections with others in our community. This was very important to us and our journey. Our suburban experience was very different. While we were surrounded on all sides by neighbors we didn't really know them. No one went outside their house to talk to each other. In fact, one of the only times we interacted with a neighbor was when we caught him blowing all of the leaves from his yard into ours and we confronted him about it. My daily routine consisted of driving to work, spending 9 hours in an office, driving home and sitting on the couch for the rest of the night before going to bed, waking up, and doing it all again. Most days the only people I might see were my co-workers and Matt. I was mentally exhausted most of the time but it was a symptom of not being engaged. Overall, I felt very isolated. We made up for this by inviting friends over and hosting dinners and parties.Our friends were fun and the gatherings fulfilling. We miss them but we also realized that we needed a different type of community. We wanted to live in a place where neighbors were our friends. We wanted to live in a community that was identified by the connections it fostered. That is how we found Asheville. 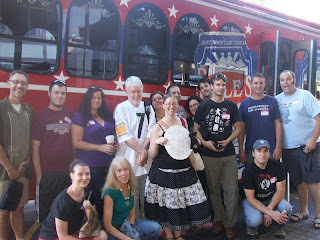 How to find the right place for you is a different post all together, but I will say that discovering a community that was perfect for our personalities was an important to step to building community. We make a point to go out, talk to people, and make new connections every week. Sometimes those are fleeting conversations and sometimes those develop into friendships or even creative partnerships. We have incorporated social interaction into our regular routine including our weekly trips to the local laundromat. We even love forging online connections to others in the Tiny House community. Building relationships is critical for our deliberate lifestyle. Just because we built a house isolated on a mountain doesn't mean we wanted to be hermits. How do you build relationships in your life? Your suburban life sounds very similar to mine. We live in a single-story flat. On one side we have a neighbour who we share a friendly nod with whenever we see her (I interact with her cute kitty cat more than I do with her). On the other side is our neighbour from hell. She isn't that bad, just very inconsiderate. Regular parties on a Sunday night. Likes walking around on the timber floors in high-heels, which echoes through the entire group. Very little consideration for her neighbours. The most she has heard from us is telling her to keep it down on a few occasions in the wee hours of the morning. I am in the process of buying land in a small town in rural Victoria. I have already interacted with 4 or 5 people and I haven't even bought the block! You see, the first thing I did when I established that this is the town I want to live in, was emailed the towns progress association and historical society. I asked some questions and introduced myself. Everyone I have spoken to is so supportive of my plans and can't wait to have another interested person in the community. Further, whenever I have viewed land I have knocked on the neighbours door to introduce myself. This has always gone down well and has put me at ease about who I could potentially be living next door to (even if the next door is 500 metres away). Funny thing is, I would never be so bold in the city.